It all started with my 1920’s house located a block away from the Clear WiMAX tower. I noticed it while walking to my favorite happy hour spot on a lovely April afternoon. After listening to the massive marketing efforts, I decided to look into this new 4G wireless network (Remember, I live in an old house with two prong electrical outlets and no cable jacks). The initial setup took 30 minutes from Clear’s store to my computer. For something technological to just work amazed me, and I was certain that this experience would continue. After the first two months went by, I noticed from 5-8pm the Internet would crawl. This is when I decided to upgrade my 3 mbs home plan to 6 megabits per second. The customer service rep assured me faster speeds. Mind you, I love hating Comcast (it’s like hating Microsoft, At&t, and the Lakers) so never having to deal with them brought happiness to my soul. Now here is the kicker. Ten minutes after this speed test, I lost Clear service entirely for an hour. 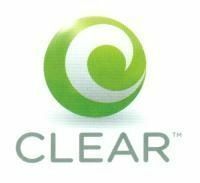 When I called Clear’s support line I received an automated message that they were aware of problems in my coverage area. Portlanders, you DO have a problem in your area; Clear WiMAX.